We had the privilege of spending time with the staff of McIlveen Family Law Firm during the filming of our annual report video. We were able to see first-hand how managing attorney Angela McIlveen’s forward thinking approach has set their firm apart as innovators in the industry. From their transparent management style to their collaborative work space—they are constantly finding ways to move their firm forward. 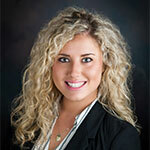 Let’s meet one of their young associate attorneys, Chelsea Chapman. CC: Throughout my childhood, teenage years, and even college, I had no clue what I wanted to be when I grew up. In fact, I started off majoring in chemistry. During my junior year of college, I realized that I wasn’t ready to be out in the “real world” and looked into graduate school. I read everything I could get my hands on regarding the legal world and ultimately, I made the decision to take the LSAT and apply to law school. CC: My biggest concern was what would happen after I took the bar exam. Could I find a job? Would I have to go live with my parents? The uncertainty was terrifying. In fact, I was probably more concerned about finding a job than passing the bar exam because, in my mind, failing the bar wasn’t an option. CC: The amount of information that one does NOT learn in law school is astounding. I wish law school curriculums focused more on the practical aspects of the law as opposed to briefing cases and drafting briefs or other legal documents. Don’t get me wrong, learning how to effectively write and brief cases is a necessary skill, but I think time (and money) would be better spent by teaching students how it actually works in the real world. CC: My biggest challenge was my lack of experience. Let’s be honest, most firms and solo practitioners don’t want to hire a baby attorney because they are going to spend a large amount of time training and making mistakes along the way. Many of the jobs I found required 5 years of experience. Training new employees is expensive and sometimes it doesn’t pay off for whatever reason. Thus, it is risky to make an investment in training someone when you aren’t sure whether they will stick around. I started my career with a solo practitioner. In order to overcome “my lack of experience”, I put a lot of time and effort into learning things on my own and building mentor-mentee relationships with other attorneys in the community. CC: Network, network, network. Make connections with people in your community and use the connections to your advantage. In my opinion, finding a job is very similar to attracting new clients. If you don’t network and don’t get your name out there, no one is going to hire you and no one is going to retain your services. I highly recommend establishing business contacts while you are in law school. This way you have time to build a relationship and establish a sense of trust. Don’t be afraid to start off as an intern. Be humble and work your way up from the bottom. I think that one of the biggest hurdles for recent law grads is coming to terms with the fact that they are not entitled to a six-figure salary and a plush, corner office right off the bat. You have to EARN it. Feelings of entitlement can seriously get in the way of opportunities. CC: Honestly, I wasn’t in the position to be picky about jobs, but now, my 3 most important qualities for a firm to have are: (1) transparency; (2) loyalty; and (3) honesty. CC: Can I only pick one thing? My firm is AMAZING. The thing I love most about my job are my co-workers. We are like one big happy (most of the time) family. Every person that I work with has a unique personality, but yet we complement each other so well. I think it is rare to find a group of co-workers who get along both inside and outside of work. CC: Be flexible with what area of law you want to practice. I started off with the intentions of practicing immigration law. During law school, I was so quick to dismiss the idea of a career in family law but look at me now. Additionally, if you work with several other employees, learn and study their personality types so you know the best way to approach them with praise or concerns. CC: First, I think that new attorneys have an unreasonable expectation that new clients will just fall into their laps. It doesn’t work that way. You have to effectively market your brand and services in a way that attracts new clients and keeps the current clients happy. Second, not every legal situation has to be a battle. You are definitely going to run into opposing counsel that drives you crazy but there are other great attorneys out there as well. Furthermore, no case or client is worth sacrificing your dignity and reputation. Yes, you are involved in an adversary process, but this isn’t WWE Smackdown. CC: This is going to sound extremely cliché, but there is nothing better than seeing hard work pay off and obtaining the result that the client wants. CC: Innovative thinking is necessary in order to run a successful business. I’m lucky to be part of a firm that not only embraces technology but seeks out new ways to make our procedures as effective as possible for both employees and clients. In my experience, a firm that fails to pay attention to technological advances is just asking for a bar complaint and possible disciplinary action. On my first day at McIlveen, I remember being completely in awe of how organized client’s “files” were. Personally, I think lack of organization is a problem that many solo firms need to address if they want to stay in business. Additionally, I absolutely love my firm’s open office space. The layout of the office enhances productivity and cultivates energy. Working with a group of forward thinkers makes me excited for the future of the legal world. Chelsea is a small-town girl who grew up right down the road in Kings Mountain, North Carolina. She was raised by her happily married parents in a loving, supportive environment and has a little sister. While attending college at Appalachian State University, Chelsea taught group fitness classes and enjoyed exploring the Blue Ridge Mountains. 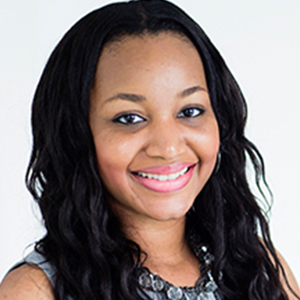 After graduating college with a Bachelor of Science in Criminal Justice and a Bachelor of Arts in Political Science, Chelsea attended law school at Charlotte School of Law. Chelsea understands the importance of stability and support for families who are dealing with divorce and the effects of broken relationships. She understands that every client’s situation is unique and is dedicated to providing compassionate and zealous representation.